A never ending symbol of love and devotion. 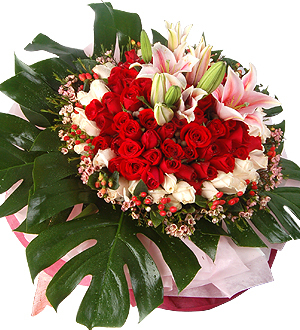 Fusion of romantic Roses and elegant Lilies bound by loving thoughts. 24 stalks Roses & 5 stalks Lilies.